In our house at The NY Melrose Family breakfast is one of the most important meals for my toddler. 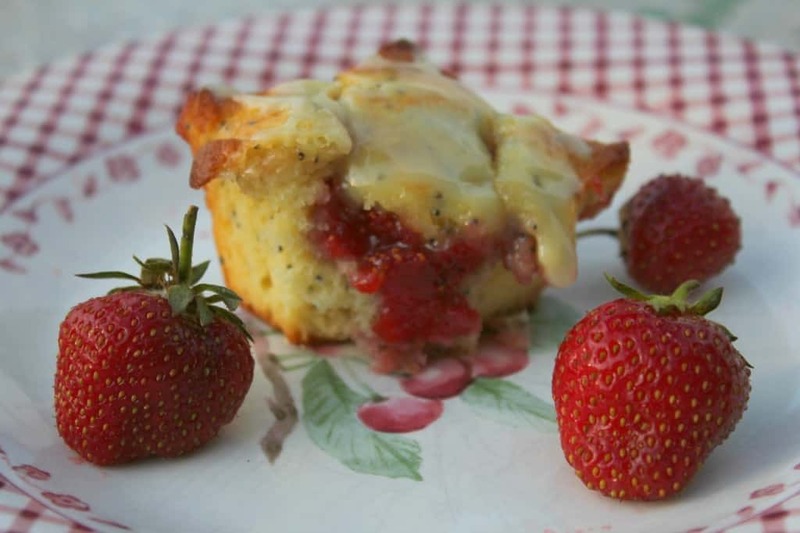 My daughter loves fresh strawberries and anything that she can eat with her fingers so I put a twist on a classic Lemon Poppy Seed Muffin by adding Homemade Strawberry Jam as a filling. 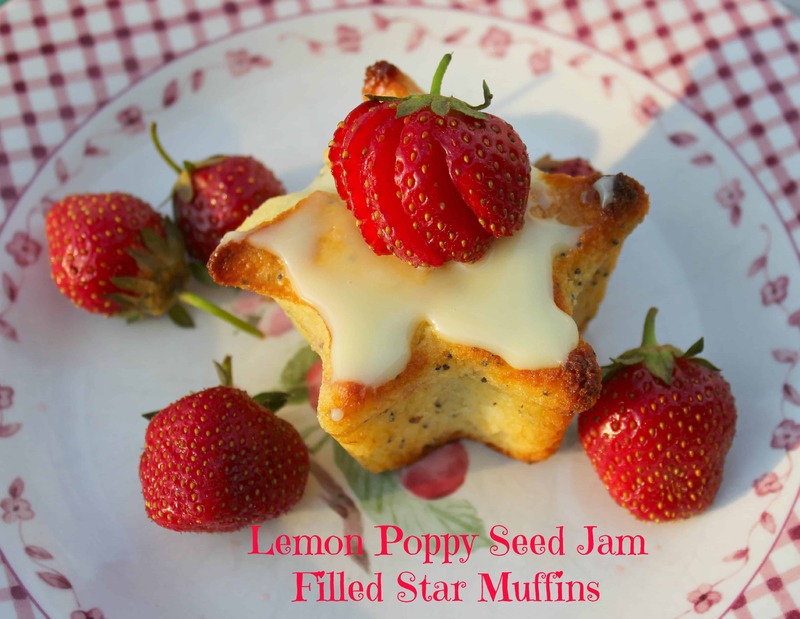 I also used a fun star shaped muffin tin to create these Lemon Poppy Seed Jam Filled Muffins. These muffins are extremely kid friendly, regardless of whether or not you use a star shaped tin or regular cupcake lined muffin tins. If you’re using a fun shape like a star and it is a springform pan, be sure to use plenty of baking spray to make sure that you can get your muffins out. 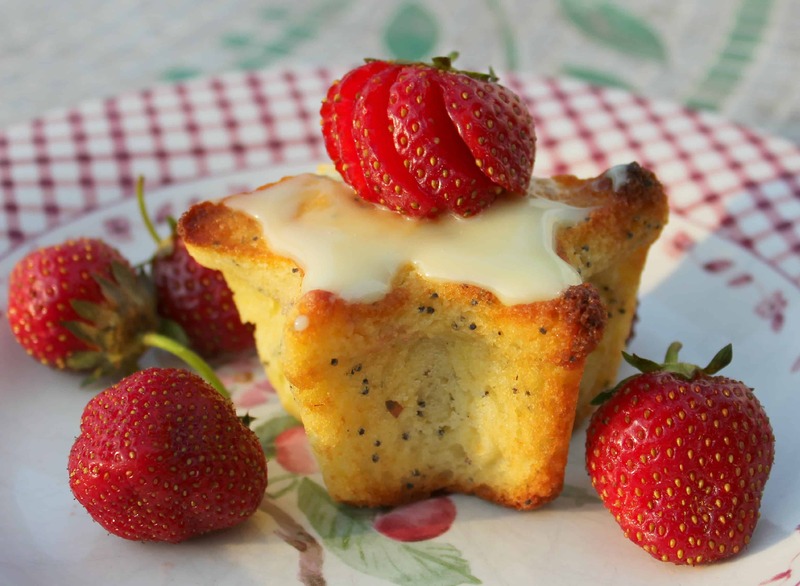 I used Betty Crocker’s Lemon Poppy Seed Muffin Mix to create the batter. This is all about being creative and why would you recreate the wheel if it already tastes so good?! For the jam filling I use my Strawberry Jam without Pectin, which we always make after strawberry picking. If you’ve never gone strawberry picking before, I highly recommend it. It’s an opportunity to teach your children about where our food comes from and it’s a great excuse to get them outside in the sunshine. I use a tablespoon of jam, but you can use as little or as much as you like depending upon how much of a filling you want. Your cook time will vary though based on your jam so make sure to keep an eye on it. You want a golden brown color on top and for the muffin to spring back when you touch it. If it sinks, then stick them back in for another minute or two. 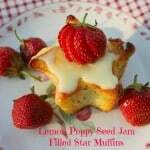 A fun star shaped lemon poppy seed muffin filled with homemade strawberry jam. Spray pan with cooking spray or use cupcake liners in a muffin tin. Make the Lemon Poppy Seed Muffin batter according to the box instructions. Fill each fun tin less than half way with the batter mix. Add a tablespoon of jam to the batter. Cover the jam with batter until the tin is a little more than 3/4 of the way filled. For the lemon glaze combine the confectioners sugar with lemon juice and pour over the baked muffins. If you’re looking for more simple summer dessert ideas, be sure to check out my S’mores Cupcakes. They are a huge hit with everyone and there’s no need for a campfire. Plus, be sure to check out Kelli’s 5 Ways to make Cake Mix Better. Jenny is a wife, mother, teacher and blogger. She and her husband of 7 years are raising two girls, a toddler and newborn, an hour outside of NYC. Jenny shares crafts, recipes, diy and party planning projects over at The NY Melrose Family. These look absolutely fabulous! I love just about anything that is lemon poppyseed! I would love to have you share it over at our link party from Monday. Stop by the blog and link this up! Thanks so much! I hope you enjoy them.